Located at the collision point between two rapidly gentrifying post-industrial neighborhoods, Wellshaüs aims to create a micro-neighborhood rooted in its historical context. 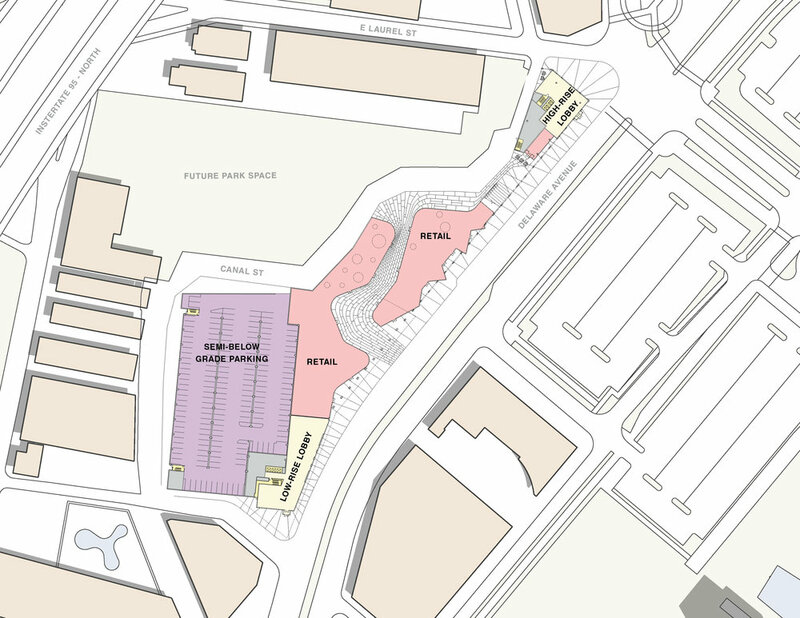 The site, which currently is home to the locally infamous George Wells Meat Company, was being considered for development. The 150-year-old brick warehouse building that currently occupies the site was slated for demolition. Our firm was engaged to strategize and design a 500-unit residential development on the site. The design team took the context, both geographical and historical, very seriously. Following extensive research about the site and its current occupant, the team resisted the demolition of the existing structures. The proposed design solution aimed to create an active residential community born out of the existing buildings. 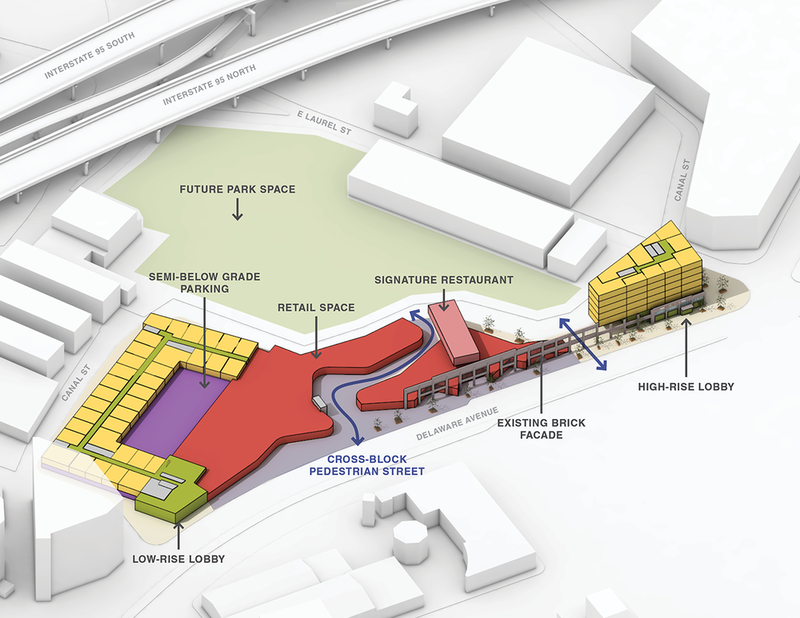 As a method of creating active civic engagement at the pedestrian scale, public and retail program was added to the ground level and a pedestrian street was introduced to bisect the disproportionately long site. 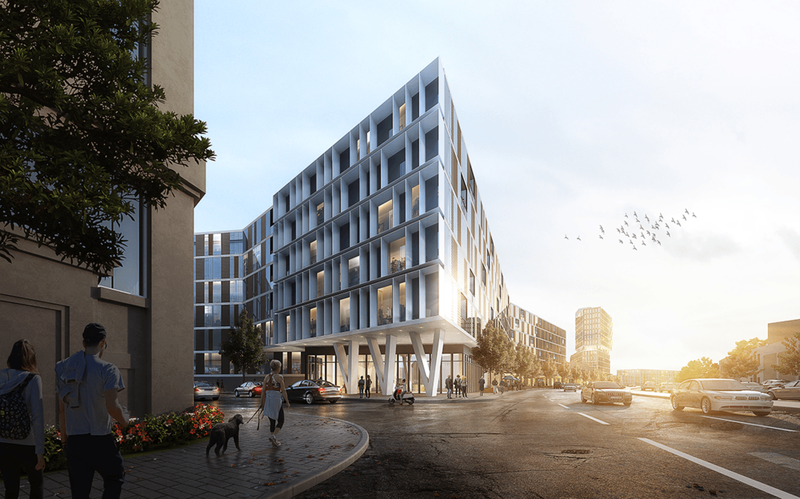 The project is divided into three primary entities: a landmark residential tower, a low-rise residential courtyard building, and a ground level retail complex split in two by the pedestrian street. The tower is located on the site at its most narrow point. While this presented a challenge regarding the building’s width and layout efficiency, the design team felt it was important to position the tower at the most northern corner of the neighborhood - making the tower a kind-of urban wayfinding device, something that is currently lacking in the urban landscape of 3-4 stories buildings. The tower rises from behind the 150-year-old brick warehouse façade, creating a dynamic relationship between old and new. Continuing south, the central armature of the project creates a set of public spaces carved out of 43,000 SF of retail and restaurant space. The pedestrian street winds through its center creating a cross-block connection between Delaware Ave and Canal Street. 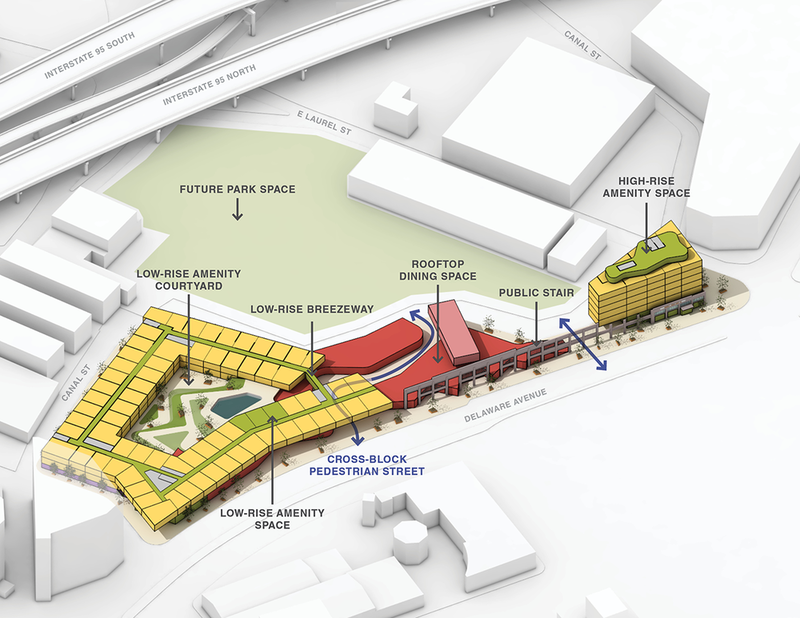 Poised behind the existing façade, a public urban plaza rests above the retail space. This provides a terrace for outdoor seating for a restaurant, which cantilevers off this terrace creating a gateway to the pedestrian passage below. At the most southern portion of the site, the five story low-rise courtyard building has been formed from the residual outline of the site’s boundaries. 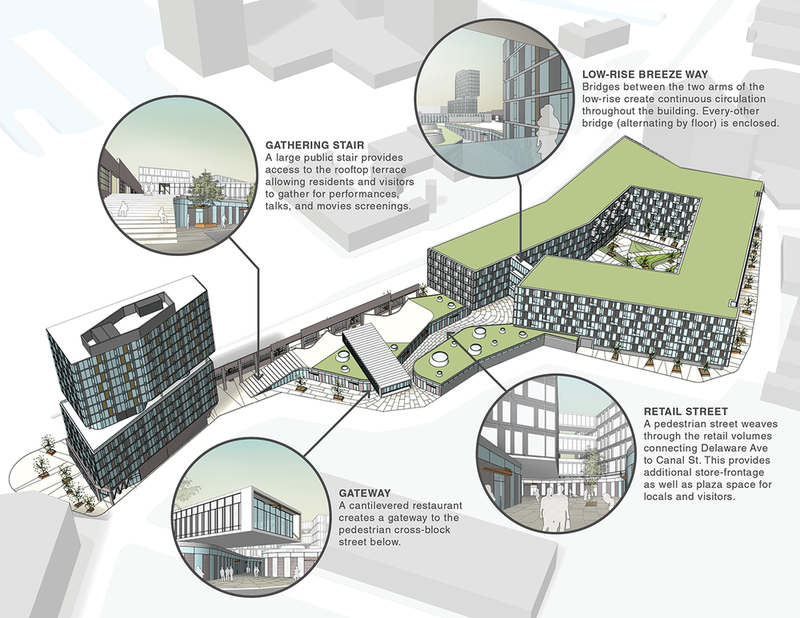 In an effort to maximize the unit count and provide increased natural ventilation, the courtyard building’s massing, which was conceived as a continuous loop, has been broken at the northern corner, creating a breezeway with bridges. A terraced courtyard space with adjacent amenities for the residents is located in the center of the building.